Other rumoured features of Apple's much-awaited next gen iPad are multi-user login support, two variants of the iPad Pros (J98 and J99) and an updated iOS. According to new rumours, Apple's next generation iPad will come with dual-app mode. Apple is said to be working to upgrade hardware and software to ensure its next gen iPads are success. 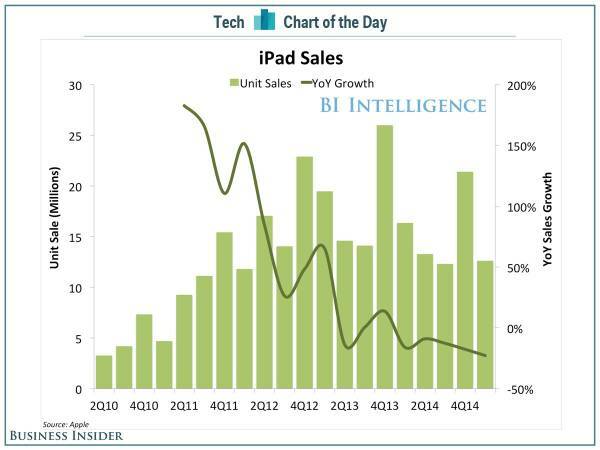 Apple's increased focus on the iPads comes in the wake of plummeting sales of its tablets. 9to5Mac reports Apple's new iPad will come with a dual-app mode and also support multi-user logins. Dual-app mode allows users to use two different apps without needing to switch back and forth between the two windows. Dual-app mode is already available in Mac. We may see the company launching a 12-inch iPad at its forthcoming Apple Worldwide Developers Conference in San Francisco. According to reports, there might be two versions (ode-named J98 and J99) of the device. Apple is also reportedly tweaking its iOS to bring in a slew of new features that are supposed to come in the new iPads. While the upgraded iOS will support dual-app, reports also suggest other iOS tweaks will focus on Siri, Notification Center and space optimisation. It's not the first time rumours about the new iPads have surfaced on the web. Last round of rumours revealed the company is working on an iPad Pro, which is said to come with the latest A9 CPU, force touch and connectivity options such as NFC and USB-C connector. Also, it may come with a stylus option. The new iPad is expected to be unveiled later this year. There have also been reports that the iPad productions were delayed to the second half of the year as the company was yet to finalise the design. Apple was said to be working on new iterations and enterprise-centric features.